At the same time forward Emanuele Calaio, who sent suspect text messages to an opposing player prior to the final match of the Serie B season in May, had a two-year ban reduced to less than five months but had his own fine increased to €30,000. The five-point penalty was imposed last month after Calaiò was ruled guilty of attempting to fix Parma’s match against Spezia which they won 2-0, completing a run of three successive promotions, the first Italian team in history to do so, and returning to Serie A three years after bankruptcy sent them to the bottom tier of Italian professional soccer. Calaio, who used to play for Spezia, sent four messages on WhatsApp to defender Filippo De Col, encouraging him and another former teammate Claudio Terzi to not try too hard in the game. The 36-year-old has always insisted he was joking. The Italian football federation’s prosecutor had originally requested Parma either be deducted six points from the upcoming season or two from the previous campaign. That would have put it back to fourth place, below Palermo as well as Frosinone – which went on to win the playoff to also earn promotion. The prosecutor had also asked for Calaio to be banned for four years. Parma managing director Luca Carra was satisfied with the verdict, telling the club’s official website: “We have asked our fans to trust us, to be close to us. For this reason we are proud to have shown that the screams and controversies in the newspapers are nothing more than the noise created by those who, often, are wrong and have nothing to lose. 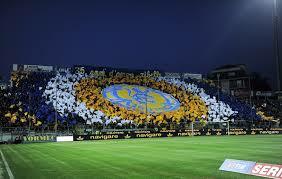 Parma open their Serie A campaign at home to Udinese on August 19.